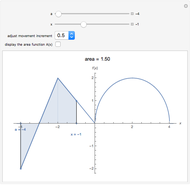 Adjust the values for and to see the area between the piecewise curve and the -axis over the interval [ , ]. 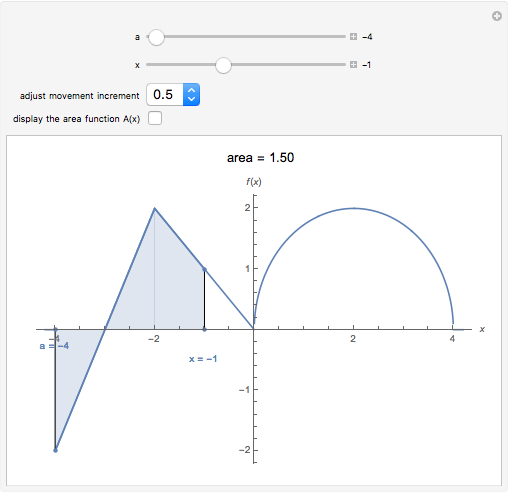 Check the box to see the graph of the area as a function of , and observe the effect of changing the value of . 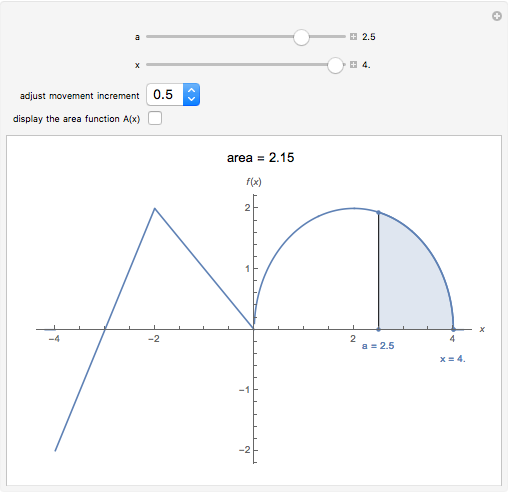 This demonstrates that for a fixed value of , the area between a curve and the -axis over [ , ] is a function of . 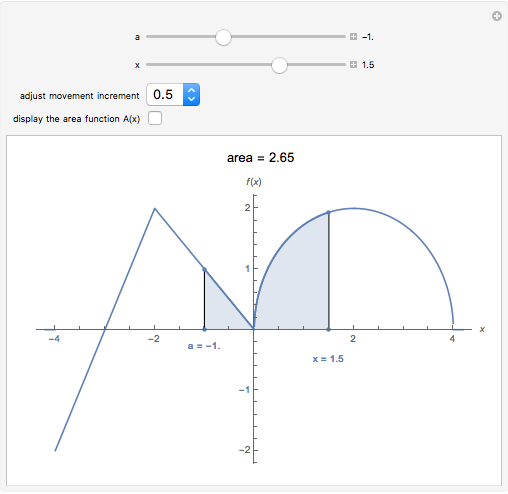 It is then natural to consider the derivative of this area function, which motivates one part of the fundamental theorem of calculus. 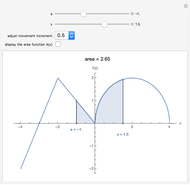 Note that the area function is smooth, while its derivative, the piecewise-defined curve, is not. 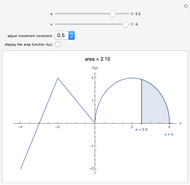 Charles E. Oelsner (Manlius Pebble Hill School) "Area Function for a Piecewise Curve"